As a Pisces who does not live close to the water, being in the proximity of sun and sand are almost a requirement of any vacation that I take. Knowing it was both warm and surrounded by water was definitely on the strongest factors I had when planning my 20 hour travels to Australia. Luckily I was not disappointed as water is ingrained in the Australian culture and gave me three (yes count them 3) days of beach bliss in Australia. 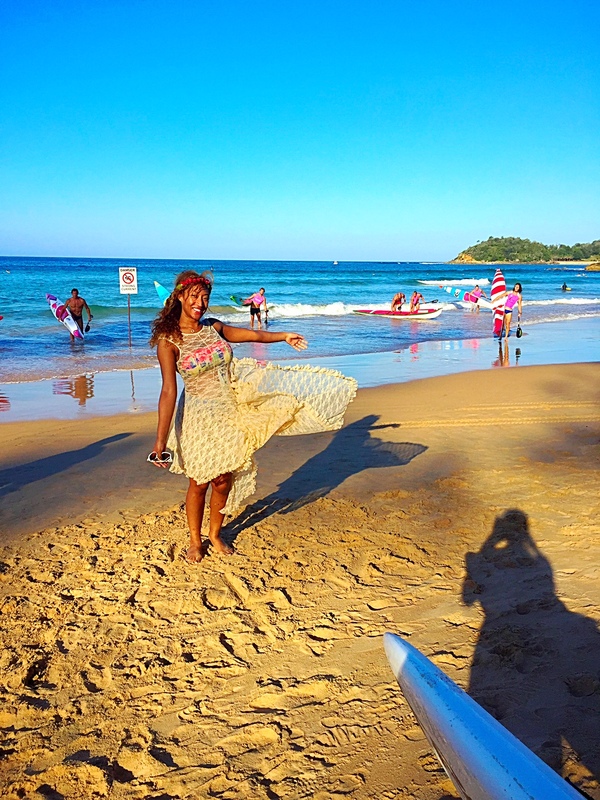 Within Sydney you are within close proximity to two beaches that are both beautiful and full of fun in their own ways. Choosing the best for you really depends on what your favorite beach time pastimes are when you hit up vacation. 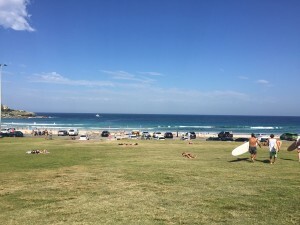 Our first visit was to Bondi Beach after we received a glowing recommendation from our waiter. The beach is amount the most popular in Sydney and has gained an international reputation for its waves and atmosphere. Without question it is the perfect location to people watch. The avenue approaching the beach is littered with swim shops and stores so you can do some quick shopping in preparation to your beach day fun. To accommodate its many visitors the beach has large changing and shower areas available to the public and once you hit the sand there is a wave of people, both local and visitors, enjoying the beach fun. If you are into people watching or water sports such as surfing rank high on your list this beach cannot be beat. What you sacrifice for being in the beaching hub, beside the crowd, is some of the visitor convenience like chair and umbrella rentals that cut down on what you have to buy and pack to the beach. For sunbathers and surfers alike this is the top of the line in the beach destinations, however. While we were taking the ferry ride over to Manly the kids feared there was no way the smaller, quaint manly beach could top the crowds and waves found at Bondi. As I exited the ferry and was faced with a restaurant that served both milkshakes and lobster rolls I knew the choice of favorites was made for me. Manly beach is located on Manly, a smaller beach community. Because the beach and community walk hand and hand your walk to the actual beach gives you a peak into this town with great shopping and local fare that I love to tap into. 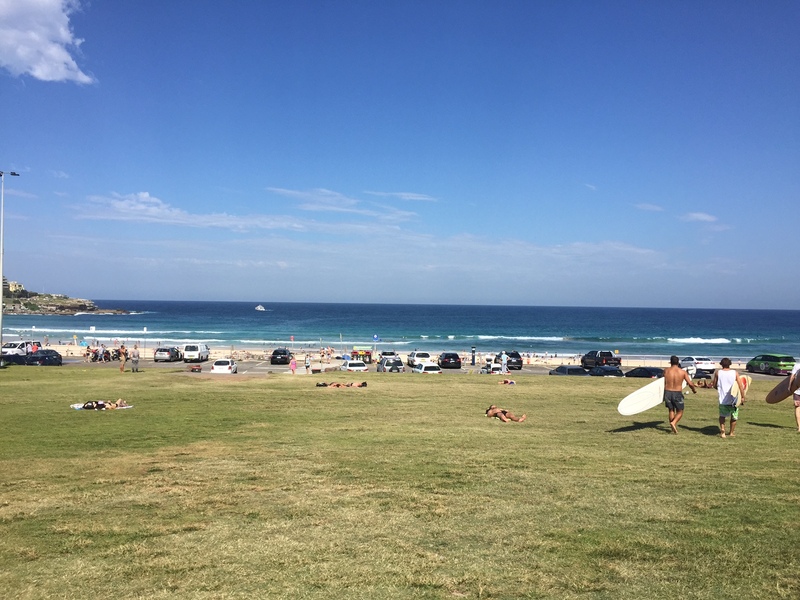 Like Bondi you have a small walkway of shops and restaurants that feature local cuisine and a phenomenal view. 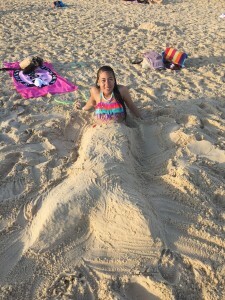 Although you are missing some of the larger conveniences that you can find at the larger beach such as public showers, you do get some perks targeting visitors like chair and boogie board rentals. While the beach is smaller, I found it still offered the same great water and waves and lovely picturesque charm that I adored. Outside of the beach there are other attractions such as the Manly Sea Life center giving you opportunities to see the sea life up-close and even dive with sharks. 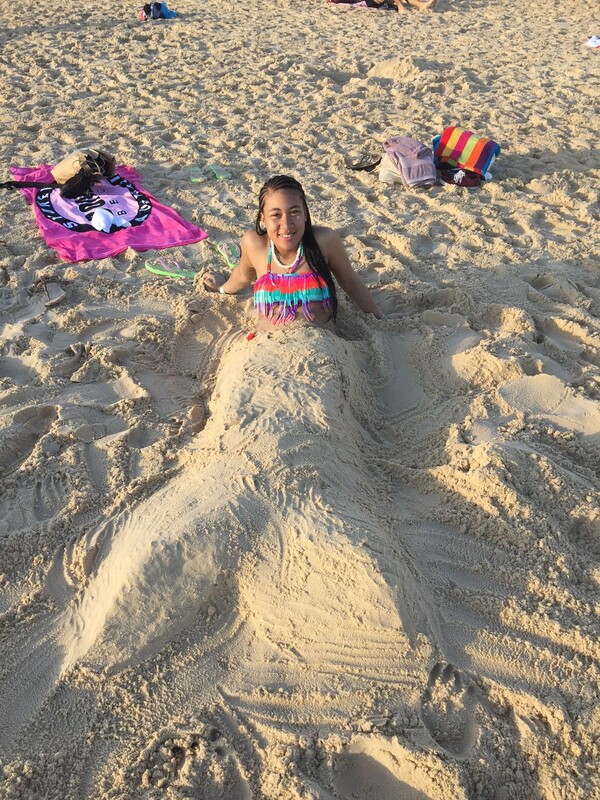 It is definitely a beach you can make a whole day experience out of as you have both the water and the town to explore and get a real taste of life in Sydney.